Like buying a vehicle, writing a grant proposal is an important investment worth taking the time to do right. Doing research to ensure you are on the right lot and looking at the type of vehicle that best suits your needs will reduce wasted time and increase the likelihood of a successful outcome. From there, all that’s left to do is narrow down your options and negotiate the best price. When shopping for a car, research is important to ensure you find the one that best suits your needs. Does the car offer all the options you need? For instance, do you often haul your children’s furniture from home to dorm and back again? If so, a Mini Cooper likely isn’t your best option. Also, knowing your own constraints (e.g. finances, height, family size) might dictate whether you’ll be shopping for a new car or a used one, a compact or a sedan, a Lexus or a Kia. The same holds true when searching for a grant sponsor. Do the sponsoring agency and particular program fit your project needs? If you only need $1,000 in materials to carry out your project, you shouldn’t search for a Federal grant opportunity because those are usually reserved for projects with bigger budgets. Instead, look for internal and local sources of funds, such as your department, college, or the Committee on Faculty Research (CFR). If you are going for Federal funding, it’s important to choose the right agency. If your research project is focused on a specific health outcome, likely you need to do your shopping on the National Institutes of Health (NIH) lot, not at the National Science Foundation (NSF) dealership. Knowing and understanding the mission of the sponsoring organization is of utmost importance prior to developing your grant application. If missions are misaligned, then you need to find another dealer. With literally hundreds of car makes and models available, how do you decide which is best for you? When considering your purchase, everything counts, from number of seats and doors to size, performance, and cost. The key is to narrow down your search by creating a short list of must-have features, then doing some side-by-side comparisons. When searching for a sponsor, you may or may not have hundreds of options depending on your project needs. The chart below offers guidelines for narrowing down your search options. Once you’ve selected the model, options, and color, it’s time to get serious about price. 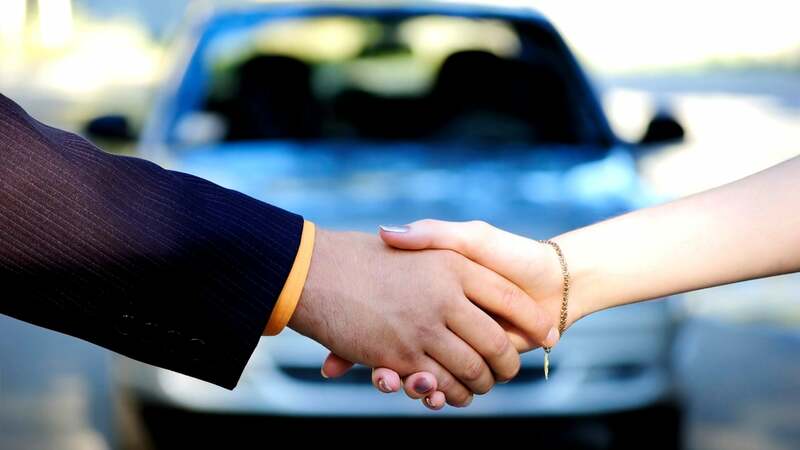 The key to successful negotiation is knowing the value of the car, the invoice price, and the MSRP. In other words, what is the dealer’s limit? Also, what is your limit? Calculate what you can afford. When writing a budget, you need to know the sponsor’s limit. Is there a cap or ceiling on the amount of funding you can request? If there isn’t a cap, is there a typical amount awarded by the program to which you are applying? Are there specific items the sponsor won’t pay for, like major equipment or personnel? Also, will your budgetary needs be supported by the sponsor? Ask for what you need and don’t sell your project short. If a sponsor cannot support a major piece of equipment that you need to conduct your research, then you either need to find a way to support that equipment (e.g., internal equipment funds from OARS or budgeting for equipment rental rather than purchase) or find a new or additional sponsor. Test-driving can help you make your final decision, so take your time with it and be sure to drive on both city streets and the highway. Don’t feel like you need to rush the process. Instead, use this time to pay attention to the little things: road noise, the number of cup holders and USB outlets, and extra features you hadn’t noticed before. After the purchase, it’s too late, so leave ample time for this important feedback. The same holds true with grant applications- test drive them with the sponsor. Contact the sponsor early with your project idea. Many sponsors have a program officer who is responsible for answering questions regarding particular programs. The program officer wants quality applications that meet the mission of the agency and program, so they want to hear from you. As soon as you identify a program, contact the program officer and ask if you can share a one-page concept paper that includes your project goals and objectives, along with a little background detailing the need for, and significance of, the project. Once you have a green light from the program officer, test-drive your application with colleagues both in and outside your area of expertise. Doing this will allow you to fine tune your application, ensuring it is understandable to an informed audience and ensuring an error-free application. Once you submit the application, it’s too late to make changes, so leave ample time for collection of this important data. Both buying a car and writing a grant proposal can be harrowing processes. Try to take the hassle out of both by beginning early, doing your homework, reading reviews (or sample applications), and working with people who are knowledgeable about the process. For car buying, this should be a salesperson. For writing a grant proposal, this should be your OARS representative. We are here to help and have years of experience submitting to hundreds of programs while getting feedback and advice from dozens of program officers and grants management folks regarding common pitfalls. Additionally, we can provide information commonly needed to complete forms (e.g., DUNS and EINs), and we can assist with budget development and help route your proposal through the internal approval eSPA system, allowing you to spend more of your time on writing your narrative, communicating with your program officer, and tidying up your final draft. Just like TrueCar and similar services help take the hassle out of the car buying process, OARS can help take the hassle out of the grant submission process. So give us a call! Car keys photo by Negative Space via Pexels. Handshake photo by Legal Tell All via Vimeo. Both used under Creative Commons license. This entry was posted in Grantwriting and tagged budgets, grantsmanship, grantwriting, sponsors. Bookmark the permalink.